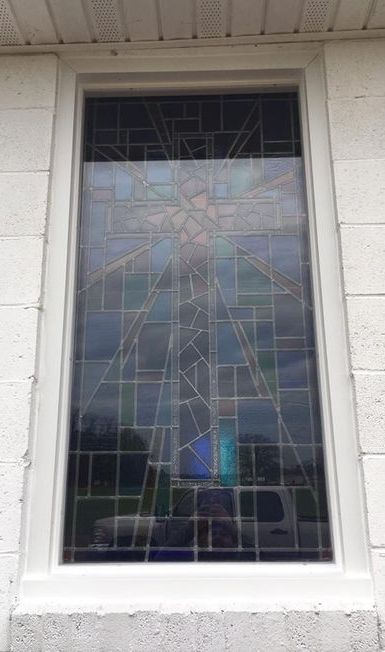 In 2017, Laws Stained Glass Studios provided (6) cathedral glass windows for Milton Grove Missionary Baptist Church in Clinton, NC. 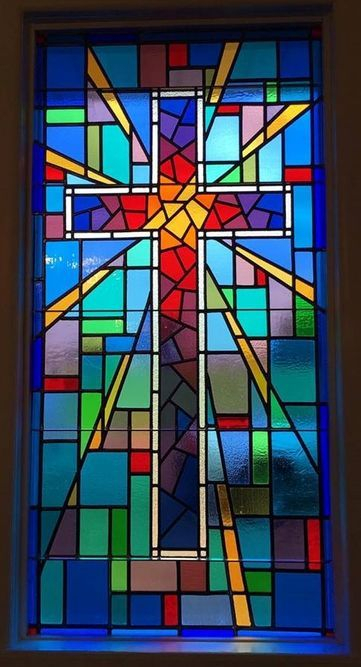 Each window (size 28" wide x 57" high) contains a multi-colored cross. 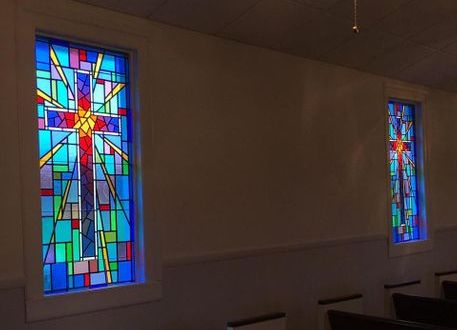 Laws Stained Glass removed the existing wood sashes. 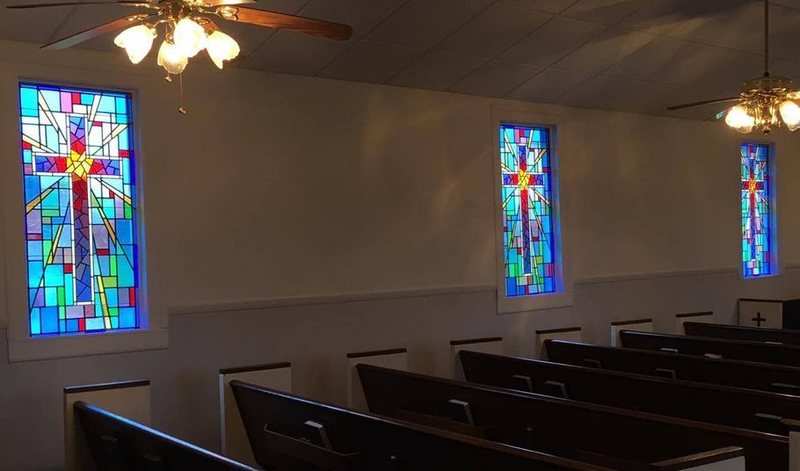 Laws installed the new windows in the existing wood frame. 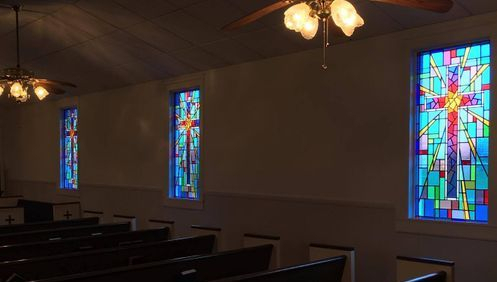 On the exterior, 1/4" Lucite acrylic was installed as the protective covering and (2) rows of 1/2" x 1/2" white aluminum stop was used to float it in place. 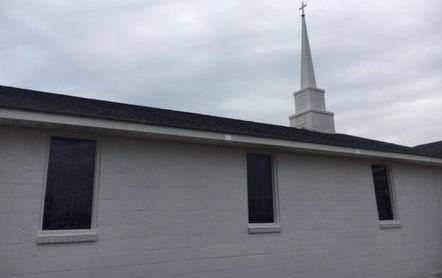 Also the exterior wood was covered with white aluminum flashing.